With Deleted Scenes, prolific underground filmmaker Todd Verow made what could easily qualify as one of his best features. Edgy and fragmented, the film tells a tale of love, passion and dysfunction. When 30-something Sean (Michael Vaccaro) meets Eastern European immigrant Wolf (Ivica Kovacevic), the sparks quickly fly. They return to Sean’s apartment to begin a high energy affair. What starts as a mere chance meeting slowly evolves into something more. Wolf is easy going, turning tricks to supplement his living, while Sean is needy, talkative and neurotic. Creating a stable relationship is fraught with problems. With Wolf disappearing for hours at a time and Sean doing drugs, the two of them seem to be headed down a path of destruction. Told like a tale made up entirely of Deleted Scenes, Verow pushes the envelope of creativity and sensuality. Gregory (Petrice Jones), a gifted working-class teenager from Paramin, a village located on one of the highest points of Trinidad, stars in a stage play that brings him to the attention of James (Gareth Jenkins), an affluent businessman. The two men strike up an uncanny friendship as James takes Greg under his wing, pushing him to discover himself professional, creatively, and intimately. Confused, Greg must at once deal with the return of his drug-addicted father, and navigate through the early days of adulthood. 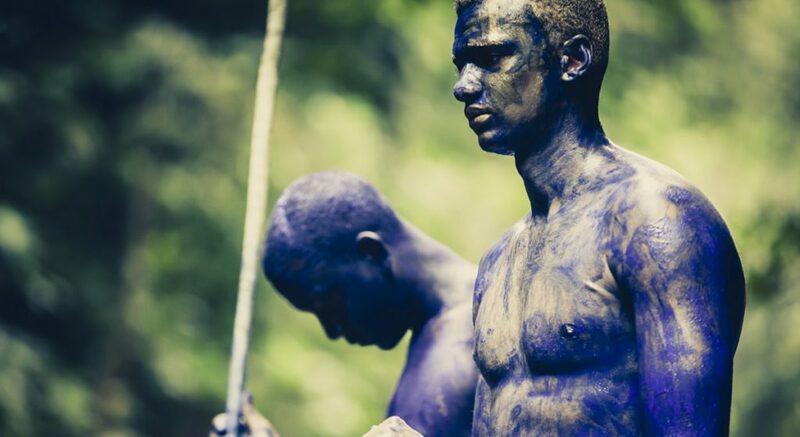 As Carnival Monday approaches and the locals prepare for the annual male initiation parade, Greg must confront James – an act which will culminate in life-changing events. A self-taught filmmaker from the island of New Providence in The Bahamas, Play the Devil writer/director Maria Govan began her cinematic journey at the age of eighteen when she moved to Los Angeles to work on big Hollywood sets. Over a decade of hands-on work laid the foundation for her craft and she began writing her first narrative film Rain, which eventually premiered at the prestigious Toronto International Film Festival and was then licensed to Showtime Networks. Play the Devil was shot entirely in Trinidad in the spring of 2015. Govan is currently in development of her next film projects, My Life in a Dojo and Epiphany.